It’s fascinating how people’s minds work. Some people take something that is very complicated to most, and break it down in very simple terms so it’s easy to understand. And some people see a problem and figure out a way to fix it or make what currently exists better. Right now, we’re hearing about Nobel prize winners who have done something amazing in their field. There are also young people doing very interesting things to help their fellow man as well. Google has a science fair every year, open to 13- 18 year olds. The fair has different award categories such as The National Geographic Explorer Award, The Virgin Galactic Pioneer Award, and The Lego Education Builder Award. This year Anushka Naiknaware, 13, won the Lego Education Builder Award by creating something so simple but much needed in the medical field. Find out what this Google Science Fair winner invented by reading below! This 13-year-old just revolutionized an age-old problem in medicine using a remarkably simple method. 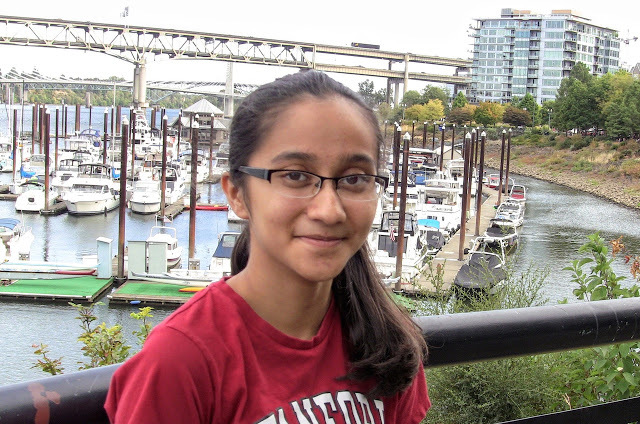 Anushka Naiknaware from Beaverton, Oregon became one of the top eight finalists of an international Google-run science competition after she invented bandages that notify doctors when they needed to be changed. Using graphene nanoparticles and ink, the bandages start to display fractal patterns when they detect that moisture levels have dropped. Bandages need to be dampened in order to properly heal wounds, but changing bandages too often can be harmful to an injury. This way, medical officials no longer have to rely on guesswork. Since she won the Lego Education Builder award for engineering, the 7th grader from Stoller Middle School was given a $15,000 scholarship, a free vacation to the Lego World Headquarters in Denmark with her parents, and a mentorship with Lego executives for entrepreneurship. Anushka, who became the youngest recipient of the prize, plans on getting her invention patented and approved by the Food and Drug Administration so it can be put to use in hospitals worldwide.